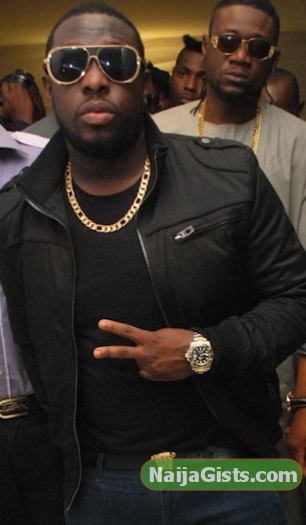 Nigerian singer Timaya real names Enetimi Odom is a year older today. The Egberi papa one of Bayelsa state was born in Bayelsa on the 15th of August 1977. The talented singer started out with underground singers and was a back-up singer for Eedris Abdulkareem back in the day. He came into limelight in 1999 after releasing the hit song Dem Mama, an account of the 1999 destruction of Odi, a riverine community in the oil producing Niger Delta, by soldiers hunting down militants whom where alleged to have killed 8 policemen. The village was burnt down and numerous people killed. Timaya bravely tackled the topic years later and won instant street credibility for his boldness. He was appointed a Peace Ambassador by IIFWP In 2011 and the rest in history. Though he is not married, he’s blessed with a beautiful daughter named Emmanuella Odom. Emmanuella is the product of his romance with his new girlfriend, Barbara. He took to his Twitter page yesterday to remind fans that his birthday is today. Note: Timaya’s biography reveals he was born on Nov 29 1977 but the singer said today is his birthday. He celebrated his birthday on August 15 last year. Hbd 2 u my real man…hope u celebrated it? HBD mr. T, many were wishing that u should continue in ur plantain selling business of old, but thank God who saw u through. Hbd mr T,bt mehn u nid 2 mari dat lady if u truly luv emmanuella.moreso ai dnt lyk ur posin dia,c caution,dat z a sign of satan.ah luv u mr T.
Happy birthday mr timaya d shukuli master, (i nid a recharge card to 08106506415) tank u.